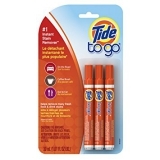 Join TopCashBack as a new member and you can get a free Tide to Go pen! Make sure you follow the instructions to get your freebie rebate. This is a $2.94 value freebie! Try the Mr Clean Magic Eraser for free! Request your free sample while supplies last.